Enter the White Bean Hummus with Kale and Zucchini! This is a fresh hummus you can enjoy in the winter or summer months and it’s perfect to eat with all of your prepped veggies or even as a sandwich spread. 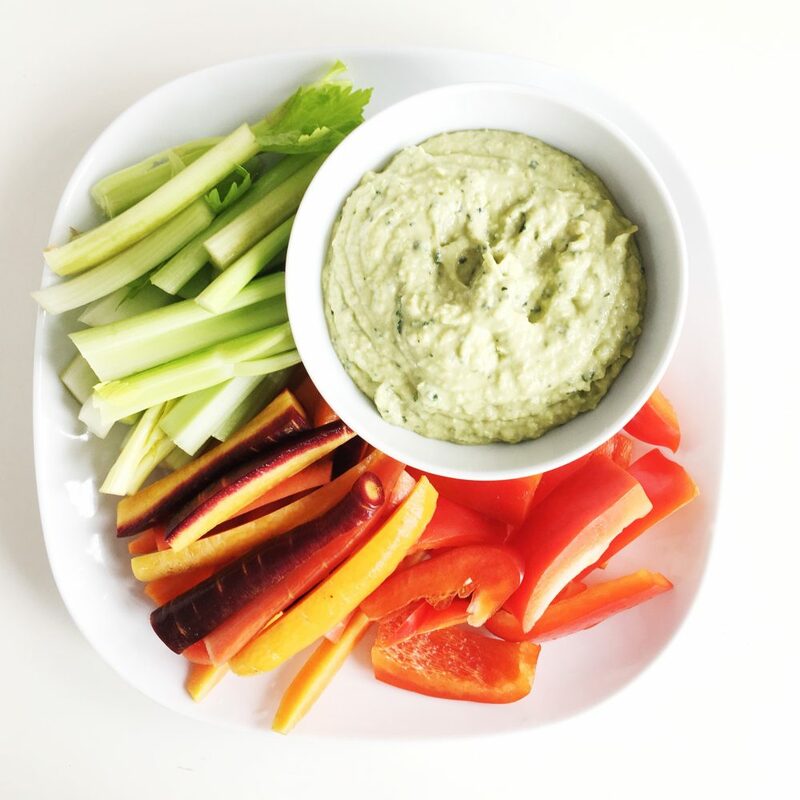 This is a refreshing dip to serve with veggies or as a sandwich spread. Whirl it all up in a food processor and enjoy with veggies! Cilantro or parsley would also be really good in this dip!